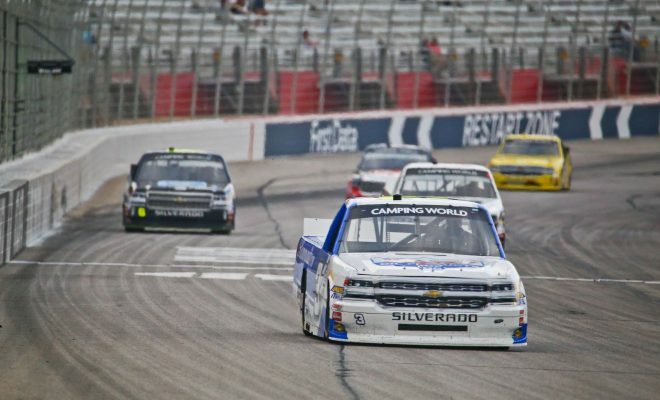 The NASCAR Camping World Truck Series hasn’t been on track since the Alpha Energy Solutions 250 from Martinsville Speedway back in March, but they’ll be back racing this Friday evening in the JEGS 200 from Dover International Speedway. Jordan Anderson, the driver of the No. 3 in the NCWTS for his own Jordan Anderson Racing will be back and he’ll be looking to continue the consistency he has been able to maintain throughout 2018 thus far. Anderson started off his season by scoring a 9th place finish and his first career top-10 in February’s season opener NextEra Energy Resources 250 from Daytona International Speedway. The South Carolina native backed up his impressive finish at Daytona with consistent finishes of 24th (Atlanta), 17th (Las Vegas) and most recently a 22nd place finish at the short track of Martinsville Speedway. Anderson has already improved on his average finish in four races this season. His average finish is currently 18.0, while at the end of the 2017 season his average finish was 21.2. The 27-year old currently sits 16th in the NCWTS points standings heading into Friday’s event. Heading to Dover, Anderson will look to improve upon his two previous NCWTS starts at the track known as The Monster Mile. In 2016 he finished a best 18th at the track, while last season he was left with a 24th place showing after an engine problem. I recently had the opportunity to ask Anderson about Dover and here’s what I asked and what he had to say in response. Sarah Handy: How do you like racing at Dover? What’s the most challenging thing about racing there? Jordan Anderson: Dover is such a thrilling track to race on. It’s got so many unique characteristics that make it unlike any other track that we visit on the schedule. With the elevation changes, concrete surface, and high banks - it makes for great racing, a multi-groove race track, and keeps you no your toes as a driver. I always love coming to Dover and am really excited about our chances for having a good run this weekend. We really worked hard to take advantage of our time off to tune on our setup and front-end shock/spring package for Friday’s race. 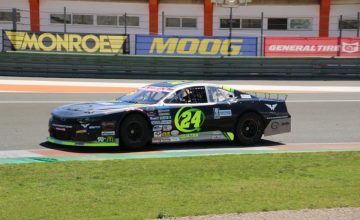 The new llmor motor has certainly been proving itself this season and I expect the fans to see close racing this weekend much like we have been all season. The most challenging thing for us this weekend is going to be to play our race strategy smart to avoid the sweeping trouble that Dover is most known for, run our own race, and take this same truck to Kansas next weekend. 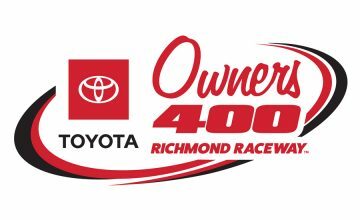 The NCWTS JEGS 200 from Dover International Speedway is set for Friday May 4 at 5:00pm/EST on FS1.